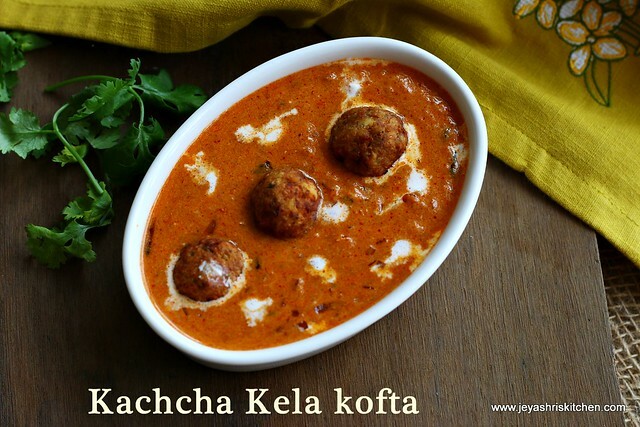 Koftas are always popular among the gravies we make for chapathi. 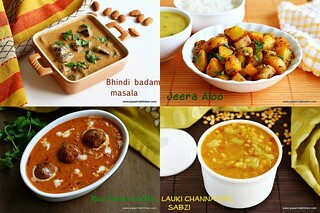 I have posted few kofta recipes here such as Malai kofta , Palak kofta and Cabbage kofta. 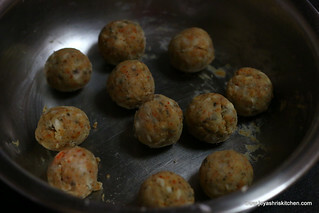 Though koftas take place rare in my kitchen, we all love it very much. 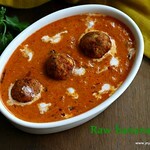 This raw banana kofta is one among the recipes which i gave for the magazine and i made this without onion and garlic. 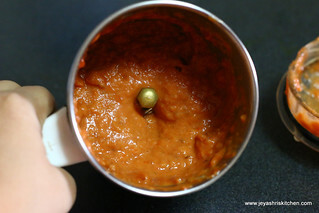 Today i tried it again with a gravy which includes onion and garlic. 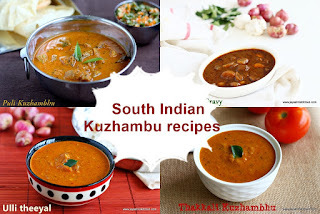 A best pair with both roti and jeera rice. 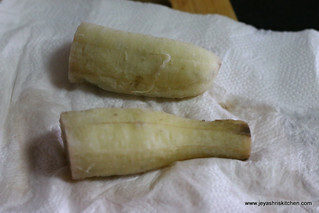 Cut the raw banana in to 2 and pressure cook it till 2 whistles. 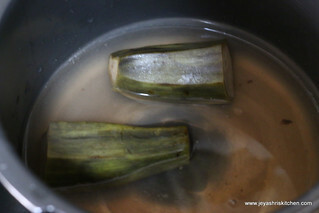 Once the steam goes out, immediately , run it under cold water and peel the skin and pat it with the dry kitchen towel. 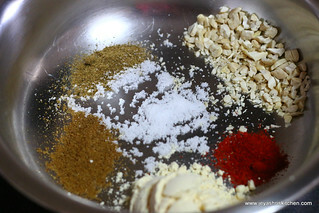 In a wide bowl add the besan, red chili powder,garam masala, finely chopped cashew nuts, cumin powder,red chili powder and salt. 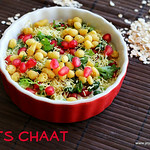 Grate the cooked kacche kale | raw banana and add it to the bowl. Do not water to this. 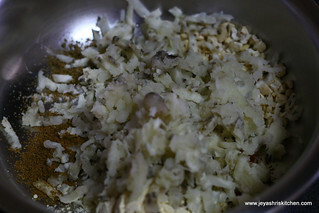 just knead this mixture and form a dough. Make this into equal sized balls and keep it aside. Heat the oil for deep frying. 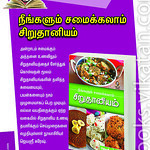 Alternatively you can cook the koftas in paniyaram pan too. Since i was running out of time, i opted for deep frying. Deep fry in medium low flame till they turn golden brown and drain it in a kitchen towel. Keep this covered and keep side. Let us make the gravy. In a pan add oil and cook the onions till golden brown. 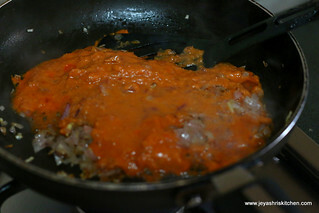 Take 3/4 th of the cooked onion and grind this along with ginger garlic paste and tomato puree. 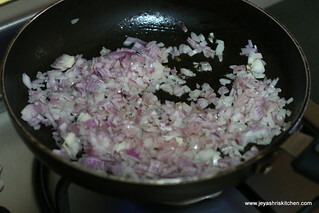 Let the 1/4 th portion of the onions remain in the pan itself. 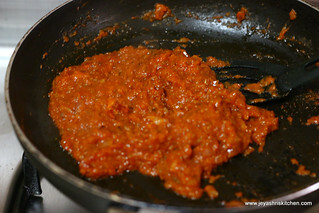 In the pan add the ground paste and cook for 3 minutes in a low flame. 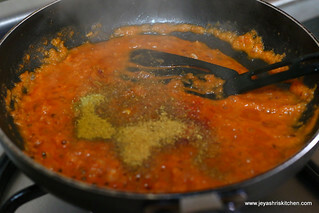 Add in the garam masala, red chili powder, cumin seed powder and coriander powder. Cook till the oil leaves. Beat the fresh cream and milk in a mixer and add it to the pan. 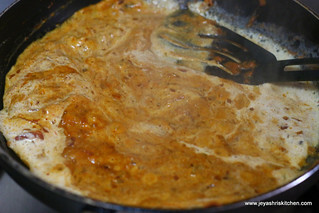 Add little water to get the gravy consistency. Add salt. 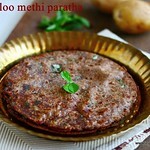 Let this boil for 2 minutes and add in the kasoori methi. Switch off the flame. 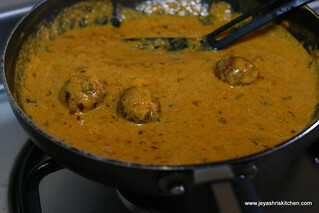 Put the koftas to the gravy and gently mix well. 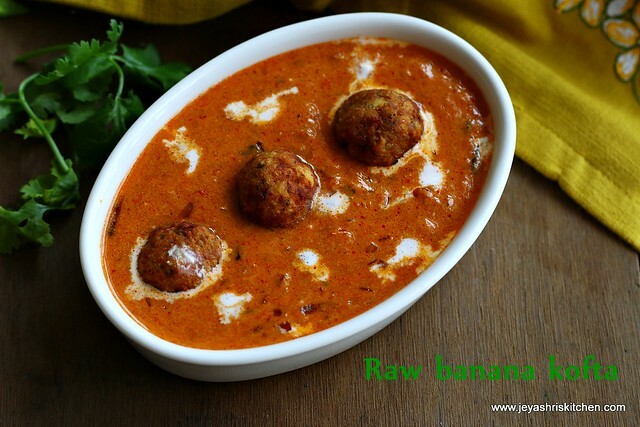 Raw banana kofta | kachcha kela ka kofta is ready to serve. These koftas stayed in the gravy for 4-5 hours. 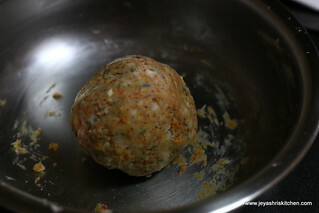 Make the dough for the kofta stiff. 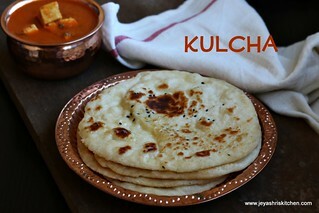 If you feel it is sticky add some more besan to this. 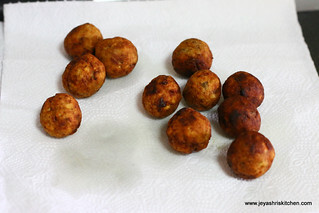 Paneer or potato can be added to the mixture while making the koftas. 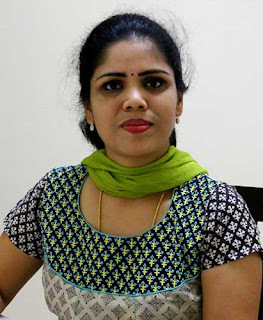 If you do not have fresh cream you can soak 5-6 cashew nuts in warm water and grind this into a paste along with the milk. This will make a richer gravy. 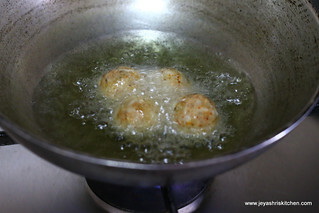 Always deep fry in medium low flame, else inside will not get cooked. 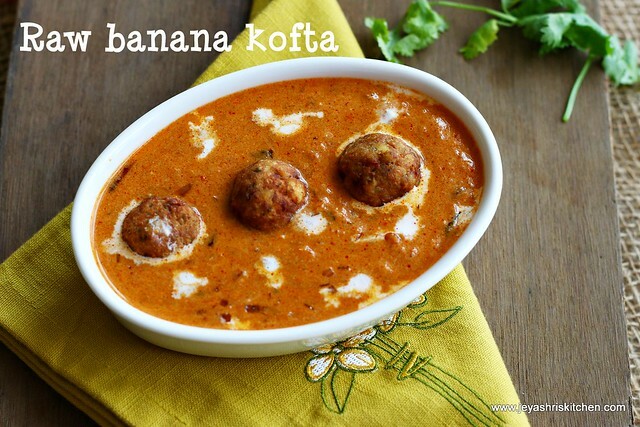 Delicious and lovely looking koftas. Excellent preparation. 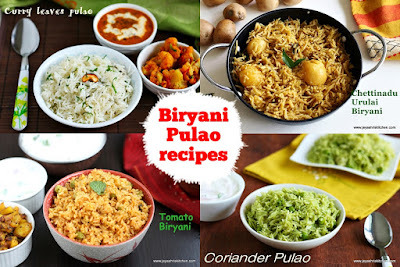 Can this dish be made without onions? Yes you can do the gravy without onions. 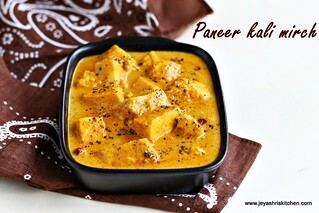 Check my no onion no garlic paneer butter masala recipe , for the gravy.